Our New Home Walkthrough Inspection delivers a detailed punch list to give to your builder before closing on your new home. Our New Home Walkthrough Inspection helps you to protect your investment by ensuring that all issues are properly documented prior to closing. We conduct our New Home Walkthrough Inspection when the house is 100% complete and prior to your formal builder’s walkthrough. Issues in new homes are directly related to a builder’s quality, including design and workmanship. In most cases, new home builders use subcontractors, who work on a fixed fee basis and, therefore, try to complete their work as quickly as possible. Unfortunately, some subcontractors cut corners, which may go unnoticed by even the highest quality builders. Our New Home Walkthrough Inspection is the third and final of our new home phase inspections, which occur at predetermined times in the construction process; other phase inspections include our Foundation Inspection and Pre-Drywall Inspection. Our Walkthrough Inspection gives you a comprehensive understanding of the condition of the property across a dozen major categories: Exterior, Roof, Structure, Water Control Systems, Insulation and Ventilation, Interior, Electrical, HVAC, Plumbing, Fuel Services, Appliances and Environmental Systems. Our report includes high-resolution digital photos which are useful for reference long after settlement. 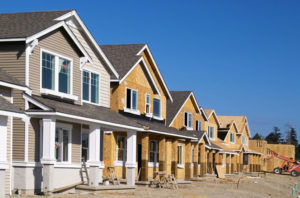 We also provide you with a detailed punch list for you to provide to your builder.